Traditionally, Americans have supported charities not only for tax breaks and a vague sense of “giving back,” but also for a variety of other financial, emotional and social reasons. Understanding what motivates donors and how their motivations vary across demographic groups can help your not-for-profit more effectively reach and engage potential supporters. Asset protection and capital preservation traditionally have motivated many wealthy individuals to make charitable donations. And certain strategies — such as gifting appreciated stock or real estate to get “more bang for the buck” — may be particularly appealing to donors who make charitable giving a piece of their larger financial plans. But high-income donors sometimes have less-obvious financial motivations, such as a wish to limit the amount their children inherit to prevent a “burden of wealth.” Warren Buffett, for example, plans to leave the vast majority of his wealth to charity rather than to his children. As he told Fortune, wealthy parents should leave their children “enough money so that they would feel they could do anything, but not so much that they could do nothing.” To appeal to these kinds of donors, you may want to offer to work with the entire family so that they can begin a multigenerational tradition of giving. Donors of all stripes are motivated by the perceived social effects of giving. Research published in American Economic Review reported that donors typically gave more when their gifts were announced publicly. Similarly, numerous studies have found that people are more likely to give — and to give in greater amounts — if asked personally, particularly if they know the person making the appeal. 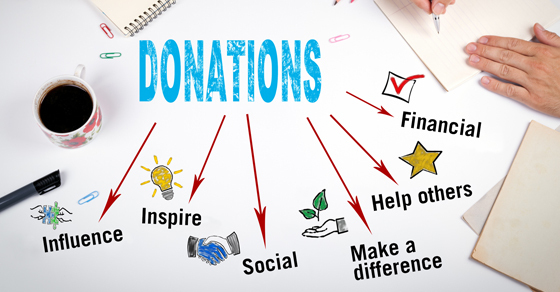 These donors may want to make an altruistic impression, and some may seek the prestige of being connected with a well-established and admired nonprofit “brand.” Such individuals are more likely to buy pricey tickets to annual galas or join a nonprofit’s board to meet and socialize with others in their socioeconomic group or business community. There are probably as many motivations as there are donors, and most people have more than one reason to support a particular charity. To get — and keep — donors’ attention, perform some basic market research to learn who they are.